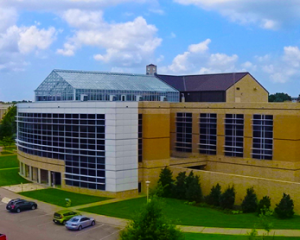 The Lab is located in the Arkansas Biosciences Institute (ABI) building on Arkansas State’s main campus. Complete with 8,000 square feet of combined wet lab space and office space, state of the art equipment and technology, confidential and secure access, and research lab space, The Lab is an excellent resource for biology and chemistry related projects. The Lab is located on Arkansas State’s campus on the first level of the ABI building. If you’d like to take a look, contact us here to schedule a tour!